Next time you decide to renovate or remodel your home, consider choosing luxury vinyl flooring in Enid, OK. Whether you’re adding an extra bathroom or remodeling a bedroom into a home office, our flooring showroom carries everything you need to complete any project. Luxury vinyl tile and plank flooring are popular materials due to their water resistance, wide range of appearances, and low prices. If you’re in need of guidance or advice, stop by to discuss your project specifics with our knowledgeable staff. We can help you find the perfect flooring to complete your project. 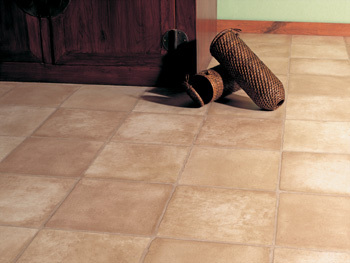 Be sure to schedule luxury vinyl flooring installation for your new purchase as well. Do you love the look of floors made of marble, granite, ceramic, porcelain, or even hardwood? These materials are well known for their sophisticated looks and ability to add significant value to any home. Unfortunately, many people don’t want the specialized maintenance needs, hefty weight, or steep price tag that can come along with these flooring types. Luxury vinyl tile offers all the great looks of natural materials, such as stone, with the added benefits of easy maintenance and affordability. Luxury vinyl plank creates a stunning look in any room and is available in a number of hardwood species, patterns, whorls, and finishes. Make sure you protect your new investment by scheduling luxury vinyl flooring installation with our skilled technicians. Our team is able to come to your home, remove your old flooring and dispose of it, prepare the subfloor to protect it from damage, and install your new flooring properly. With professional installation and proper maintenance, your flooring should last for many long years. Best of all, getting installation by our technicians means you’re covered by our Lifetime Installation Guarantee. If you ever experience an installation-related problem with your floors, we’ll make it right at no cost to you. Visit our showroom to find all the flooring types, styles, and brands you need to complete your home renovation project. Whether you know the exact brand and style of flooring you need to upgrade your room or you need advice from our design experts, you’re sure to find the luxury vinyl flooring that best suits your needs. You can find top brands like Downs, Naturcor, PurSTONE, and Spotlight Values at our expansive showroom. Contact us to add luxury vinyl flooring to every room of your home. We are available to perform a luxury vinyl flooring installation for customers throughout Covington, Billings, Lamont, Pond Creek, and Enid, Oklahoma.